The art world is filled with awards shows - lets face it, we artists are a proud bunch, and it always helps to have an award that proves how unique your particular artistic vision is. Despite what we may tell ourselves, at some point in our artistic process, we do want to be recognized. While art for personal reasons can be cathartic even if it's not shown to anyone, that can only go so far. But one of the most interesting awards in the art scene bridges the gap between journalism and art: the World Press Photo Awards, given each year for the most emotionally captivating photojournalism. For those of you unfamiliar with the WPP awards, there are a number of categories open to photographers: News, Contemporary Issues, Daily Life, Sports, People, Nature, and the biggest prize of all, the Photo of the Year. Each category, except for Nature and the Photo of the Year, is generally divided into two categories, making for a total of twelve first place prizes given out. This year's winner for Photo of the Year is actually a bit disappointing, in this photographer's opinion, although it is still a fairly powerful image. 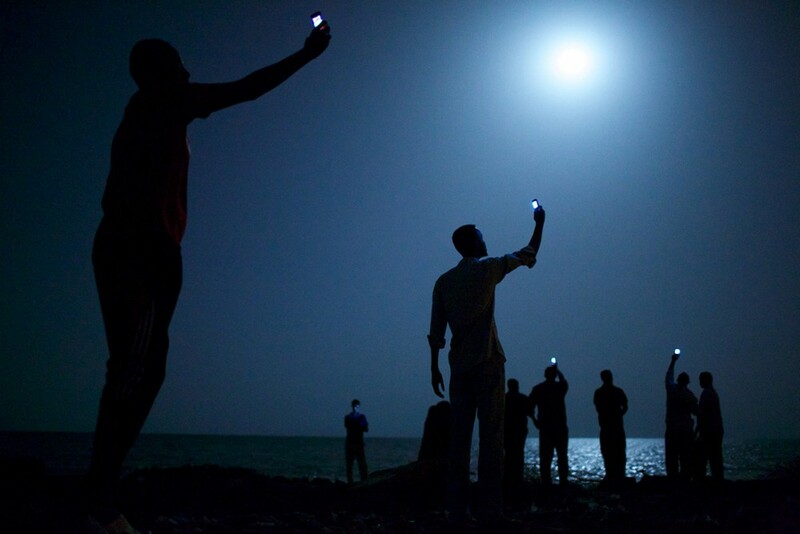 It shows a group of migrants silhouetted against the sky on the shore in Djibouti, their cellphones held aloft, framed by the moon, trying to capture an elusive wisp of carrier signal from nearby Somalia so as to try to stay in touch with relatives in other parts of the world. There is a certain desolate hopelessness about the image, a feeling of ethereal beauty about the tenuous nature of connection in the modern world, especially when it is upset by strife and forces us to change and re-evaluate our circumstances. That being said, it lacks some of visual impact displayed in some of the other categories, and definitely lacks the controversial feel which has often been a hallmark of the WPP awards in previous years - although this relatively conservative choice may be a reflection of the controversy surrounding last year's winner, which showed two young children, being carried through Gaza City to their own funerals - definitely edgy material.